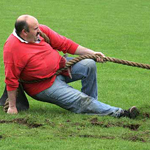 It appears that the tug-of-war match has heated back up between buyers and sellers. The report just released for April revealed that 70% of home sellers in Raleigh, NC got ‘at or above’ list price. Just to show you how far it has come…it was 58% in January. So what has changed this year? Several things, but the biggest reason is the ole’ Econ 101 theory of ‘Supply and Demand’. In the Raleigh housing market for 2013, we are seeing a shortage of listings in all prices points up to around $750,000. In many cases, we are seeing homes in Raleigh log in 10+ buyer showings in the first couple of days. As a result, it has become quite common to see multiple offer situations. If you want to see more Raleigh, NC housing statistics for April 2013, check out this video. As always, please feel free to use the home search features right here on my website. I have created an interactive map to search for homes Inside the Beltline. If you are relocating to the area, you may want to start with a general search for all Homes in Raleigh. If you are thinking about selling, click to find value of your home in Raleigh. Lastly, if you would like to discuss my services, I would love the opportunity. Please feel free to read more about me. Depending on the service you need, you can learn about my home buyer agency service or listing your home service. 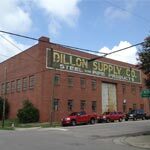 Great news…Citrix is moving over 325 workers to the Dillon Supply Warehouse building in downtown Raleigh. Even better news, they are choosing to keep the character and up-fit the building vs. rebuild. Should you ignore national housing headlines? Talk about mixed signals… Unless you enjoyed those “are we dating or not” conversations when courting (borrowed “courting” from the 1800s), don’t bother using national news to predict Raleigh’s market. 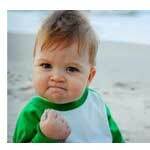 Either housing reports come out about every other day or it seems that way since I read almost every one. What tends to be confusing for most people is that one report talks about housing prices, the next talks about the number of sales, the next talks about foreclosures, the next talks about new construction and so. 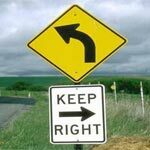 Talk about paralysis through analysis. Don’t get me wrong, I think these reports have their merit…that is why I read them. But, this is my profession and reading reports is kind of my thing. On the other hand, the typical buyer or seller shouldn’t spend time paying attention to this data when trying to make buying and selling decisions in their area. While I read all of this data to discern trends, these numbers are pretty worthless in making buying and selling decision in your area. There are good deals in a bad market and bad deals in a good market. What is important…location, location, location. 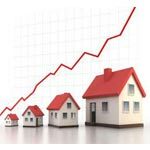 This article in Smart Money talks about all of the housing reports much better I did…check it out here. Triangle home sales jump 29% in February! The housing market in Raleigh has been on an amazing run this year and the recent housing report proves it! The Triangle pending sales jumped 29% and closed sales rose 27% in February when compared to last February. To see more housing numbers, check out the housing report here. 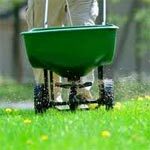 If someone wearing Carhartts, a clip on pocket knife and a NC State t-shirt talks about lawn care, I listen (only time)…and they are saying now is the time to put out fertilizer and crabgrass pre-emergent. Kidding to all you Wolfpackers…you have dominated Carolina on the football field. Back to the point, first impression for a home matters and a good lawn looks great in photos. I recommend checking out this lawn calendar and setting up personal reminders. Plans are moving forward for Fairview Row at Five Points. Fairview Row will be a small upscale condo project in the heart of 5 Points and will consist of 3 buildings designed to look like single family homes. 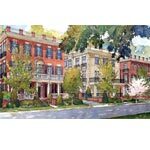 Fairview Row at Five Points in Raleigh, NC will be an upscale condo project offering the amenities of a condo lifestyle, yet the building’s facade will replicate the Hayes Barton colonial and federal style architecture. The condos will range in size from 1,800 sq. ft up to 4,000 sq. ft. Prices available upon request. If you have interest in learning more about these condos, I will have additional information in the coming weeks. Feel free to contact me at wilsoncrow@remax.net or call me at (919) 810-8665. You may also visit the developments website here. Job Growth! 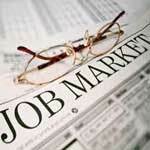 Last year, Raleigh’s private-sector job market increased by 2.14%, which is an added 8,700 jobs. Raleigh was ranked #17 out of the 100 metros in the study for the growth rate. Job growth and real estate go hand and hand. The preliminary data provided by the US Bureau of Labor Statistics just released 2011’s private-sector employment totals for the nation’s 100 biggest metros. Raleigh had a healthy gain of over 2% in job growth. To read the total list of the 100 metros, click here to see the study. Ever wanted to buy 100 rental homes at once? You just may be in luck. 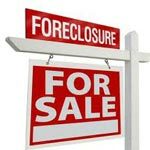 The government is making its first attempt of selling foreclosed properties by the truck load to investors. Your Costco card saves you 5%. In an effort to clear through the foreclosed homes owned by the government, a U.S. housing regulator opened the door on Wednesday for investors to bid on pools of foreclosed homes. 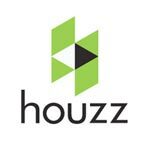 The trial run for this program will be homes currently owned by Fannie Mae and limited to just 6 markets. The closest market to Raleigh in this program will be Atlanta. In addition, this first round of foreclosure sales are homes that are currently being rented out. If the program proves successful, we will see more “bulk” foreclosure sales. To learn more, there is a really good article in the WSJ. Check it out here.